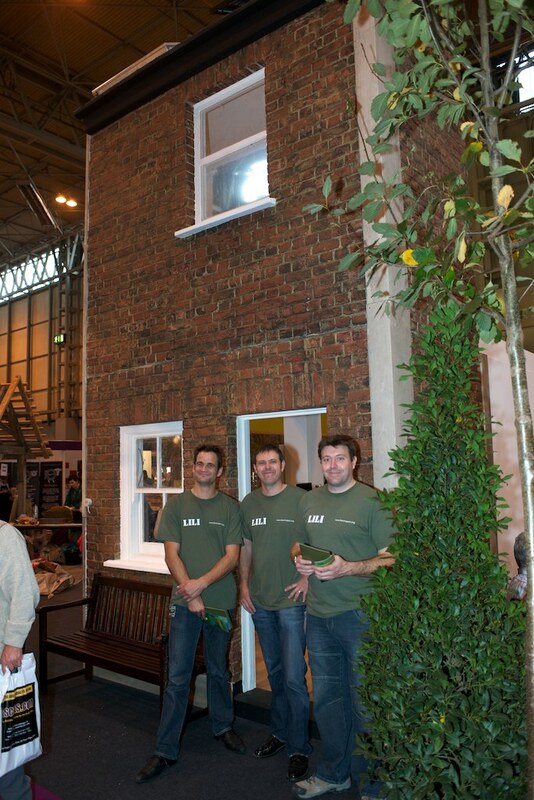 The Green Power team exhibited at Grand Designs Live in Birmingham, 7th-9th October. The Green Power team outside the Green Home we built with LILI & partners! We finished and installed the green house exhibit, where LILI (Low Impact Living Initiative) invited us to act as their expert on solar energy and retrofit technologies. This was quite a project – a two-storey ‘life-size’ building, showcasing the latest and greatest of green technologies made for the home. You should be able to see some pictures on our new gallery page, launching soon. During the three-day event, visitors could explore new ideas for greener living with LILI and Green Power. We gave talks and offered helpful advice to anyone who wants to lower their carbon footprint and generate their own energy. Plus, it was a great opportunity to give away loads of free tips you can apply around your home to help you save money and the planet. If you’d like to come along to one of our future events around the country, keep an eye on the Green Power To You Facebook page where we’ll be giving away FREE TICKETS! 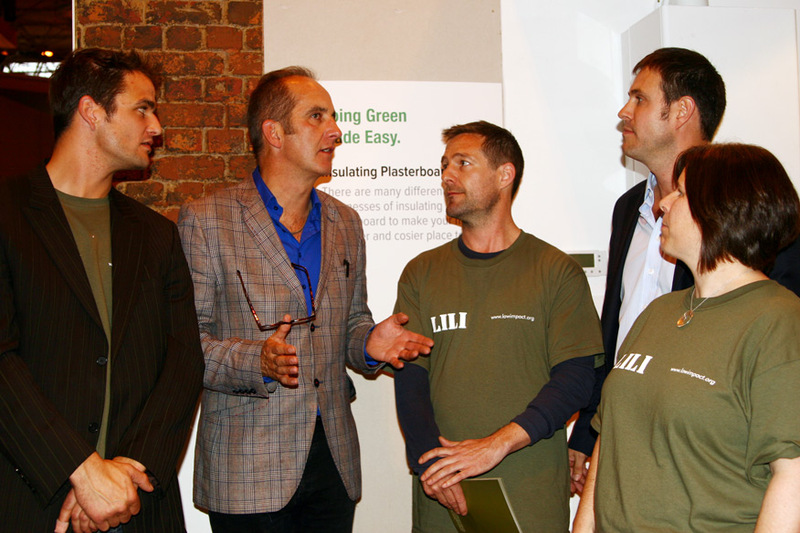 Check out the LILI feature on the Grand Designs Live website, and don’t forget to keep up-to-date with all the latest news here. Solar panels can be fitted onto flat roofs and the roofing materials can have solar film woven into it, making the possibilities for integration into different roof types almost endless.